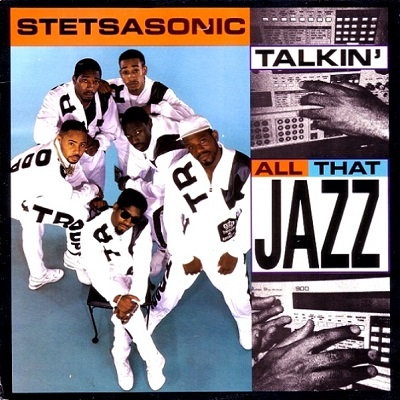 In the third part of my interview with Stetsasonic’s Daddy-O, the talented producer-on-the-mic talks about working with the Audio Two, recording the timeless classic “Talkin’ All That Jazz” and why Stet were always welcome in Miami – check Part One and Part Two. 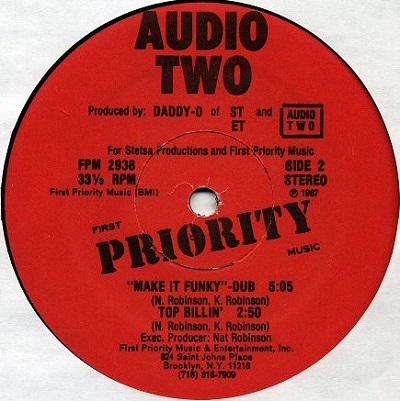 1987 was a busy year for Daddy-O outside of Stetsasonic with you being involved in producing MC Watchout & DJ OZ’s “Blind Man’s Bluff” plus Positive K’s “Quarter Gram Pam” and Audio Two’s “Make It Funky” / “Top Billin'” singles which were both on First Priority. How did you come to work so closely with the First Priority label? So how did that lead to you actually connecting with the Audio Two? Because Lumumba was managing Positive K during the same period he was managing Stetsasonic, right? 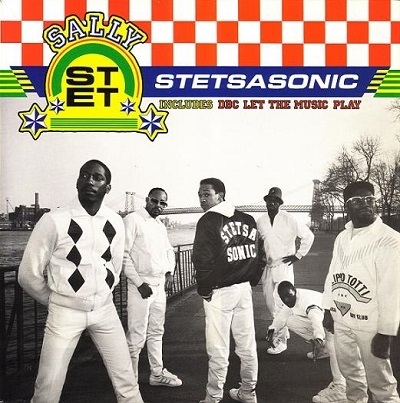 After Stet’s “Go Stetsa I”, Audio Two’s “Top Billin'” was the second official Brooklyn anthem you had a hand in producing and it had such a unique sound to it. What inspired that beat? 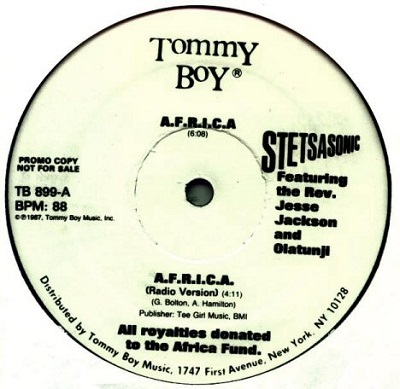 1987 also saw Stetsasonic drop the “A.F.R.I.C.A.” single which made a huge political statement against apartheid. Was that track something that the group wanted to do initially or was it something that Tommy Boy instigated? Would you say “A.F.R.I.C.A.” was the catalyst which led to you addressing other political issues on 1988’s “In Full Gear” album with tracks like “Freedom Or Death”? When you recorded “Talkin’ All That Jazz” were you expecting it to play such a large part in the debate surrounding sampling at the time? “Absolutely not. “Talkin’ All That Jazz” was the only record on “In Full Gear” that I wrote for all three of us, me, Delite and Frukwan. Now, there’s a radio show in New York called The Week In Review with Bob Slade which is still on today. It’s a very, very informative show where they highlight certain things and talk about different issues. So what happened was, James Mtume was a guest on the radio show and he was talking about how Hip-Hop was creating this generation of uncreative musicians through sampling. He’s saying how it’s making people lazy and how the people who’re sampling don’t know how to play instruments or really know anything about music, blah, blah, blah. Now, I wasn’t able to be a guest on that particular show, but then Bob Slade brought me up on another show and I was able to talk about sampling from our perspective. So it kinda kept going back and forth between me and Mtume, but not directly. 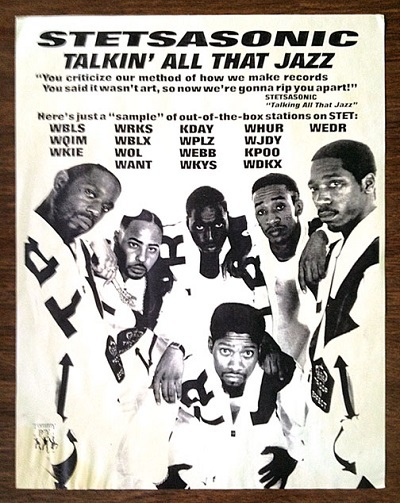 Now, Delite had already come up with the idea of doing a record called “Talkin’ All That Jazz”, but his idea was to do something similar to what Guru and Premier did later with “Jazz Music” and “Jazz Thing”. Delite wanted to do a record like that, really showing the similarities between Hip-Hop and jazz. We also wanted to show how, not being disrespectful, but in the same way that people thought Kenny G and Najee was real jazz, we felt the same thing was going to happen with Hip-Hop and that our own Coltranes and all of that would be pushed to the side if we weren’t being mindful. So that was originally what we wanted to do with “Talkin’ All That Jazz” and Delite had also come up with the idea of using the Lonnie Liston Smith “Expansions” sample. Were you already a fan of “Expansions”? 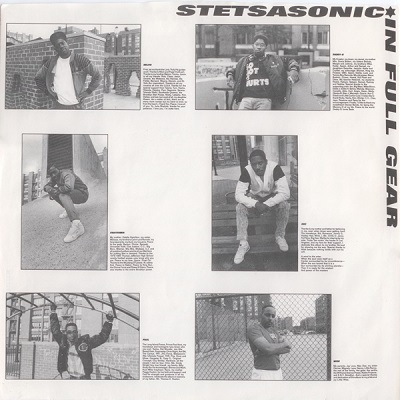 Throughout “In Full Gear” you made a handful of references to Miami and there was also the track “Miami Bass”. What was your preoccupation with Miami at the time you were recording that album? 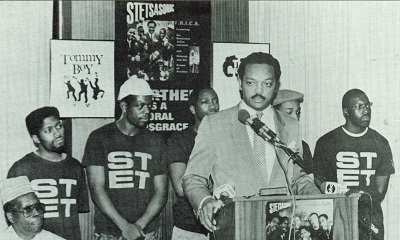 You were featured some years back in Mikey D’s documentary “The Making Of A Legend” commenting on his infamous battle with Melle Mel at the 1988 New Music Seminar. What do you remember about that incident? You produced Bango’s “Ghettoish” for Ice-T’s Rhyme Syndicate compilation in 1988 and you also worked on a couple of tracks off the 7A3 album “Coolin’ In Cali”. How did you get involved in those two projects? 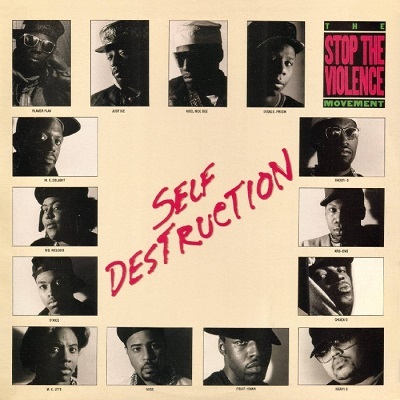 1989 saw Stetsasonic taking on a major role in the Stop The Violence Movement’s “Self-Destruction”. What do you remember about recording that single? Check the final part of this interview here. Stetsasonic performing “A.F.R.I.C.A.” at London’s Wembley Stadium in 1990. 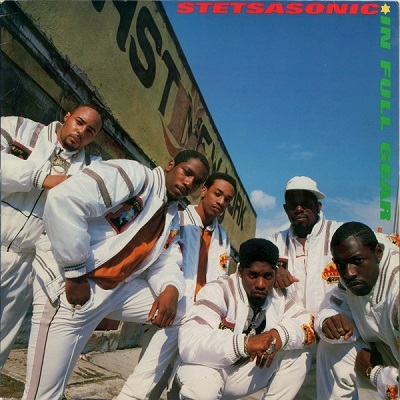 This entry was posted in East Coast Hip-Hop, Interviews, Old-School Hip-Hop and tagged 2 Live Crew, 80s Hip-Hop, Audio Two, Bango, Daddy-O, DBC, Delite, Don Newkirk, East Coast Hip-Hop, First Priority Music, Frukwan, Giz, Grandmaster Melle Mel, In Full Gear, James Mtume, Kool DJ Red Alert, Latin Quarter, LL Cool J, Lonnie Liston Smith, Luke, Lumumba Carson, MC Watchout & DJ OZ, Mikey D, Milk, Nat Robinson, Old-School Hip-Hop, On Fire, Positive K, Prince Paul, Public Enemy, Self-Destruction, Stetsasonic, Stop The Violence Movement, The 7A3, Tommy Boy Records, Top Billin', Underground Hip-Hop, Wise. Bookmark the permalink.